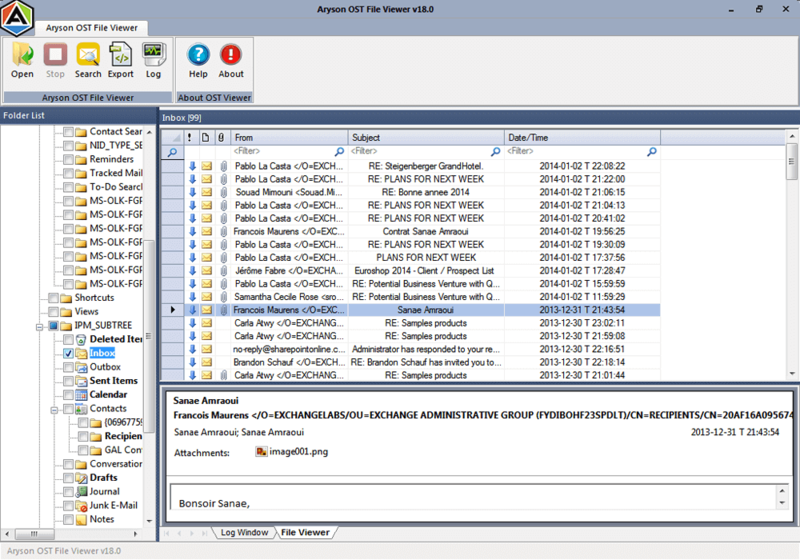 Freeware tool to open, view and read OST files without Exchange server and Outlook. 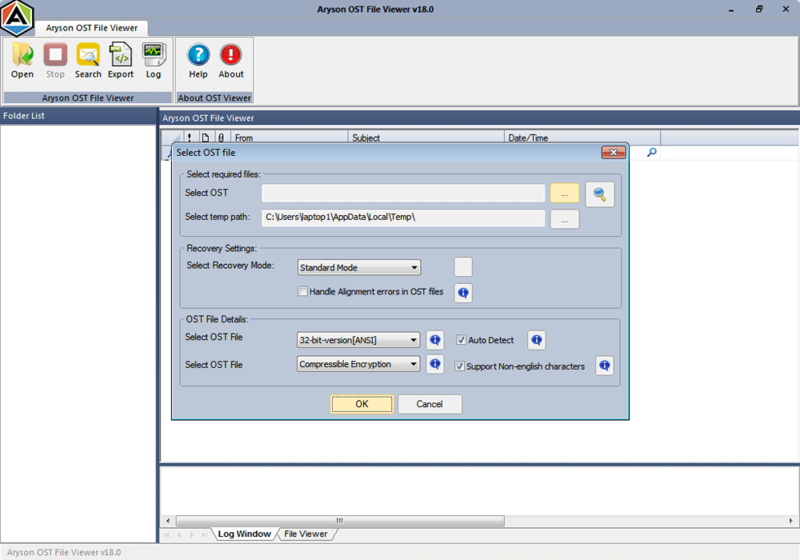 OST file reader is a freeware software tool that allows the users to open, view and read OST files. 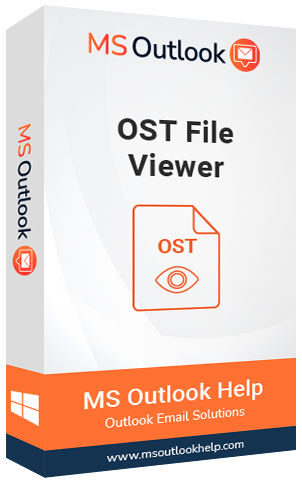 Using this Outlook OST viewer, users can easily open OST files and preview the mailbox contents such as emails, events, calendars, contacts, journals etc. 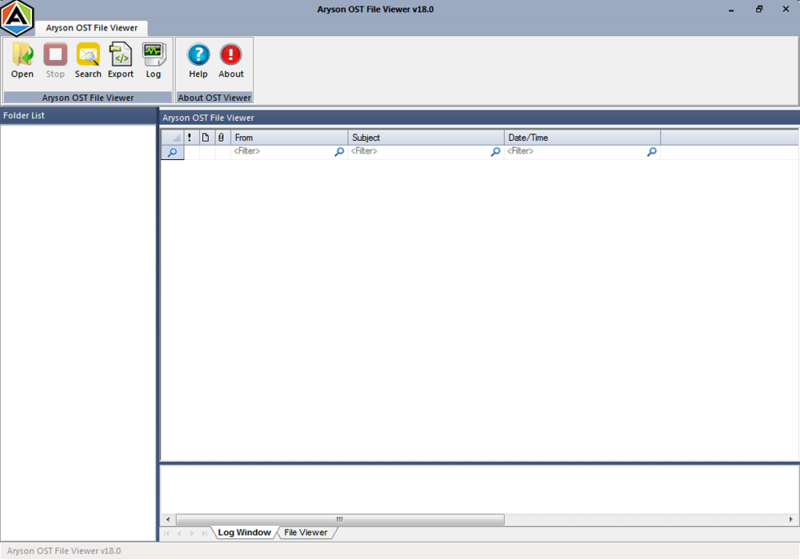 It is a very fast and swift tool for reading the Outlook OST files. Enables to open and read OST without the use of MS Outlook. Featured with an option to export the data to HTML file format. Successfully displays mailbox items i.e. emails, calendars, events, journals, contacts, tasks etc. Displays the data of both corrupted and normal files in Outlook OST. Log file generation at user specified locations. Runs smoothly on all the versions of Outlook including Outlook 2016, 2013, 2010, 2007 and 2003. By using this Outlook OST viewer, you can easily open OST files even when you don’t have access to MS Outlook. It allows to open and preview the mailbox and its data along with the attachments. With the use of this OST file reader, users can preview the data of single as well as multiple mailbox files. Also, it provides the feature to preview various properties of the mailbox contents such as From, To, size in bytes etc. 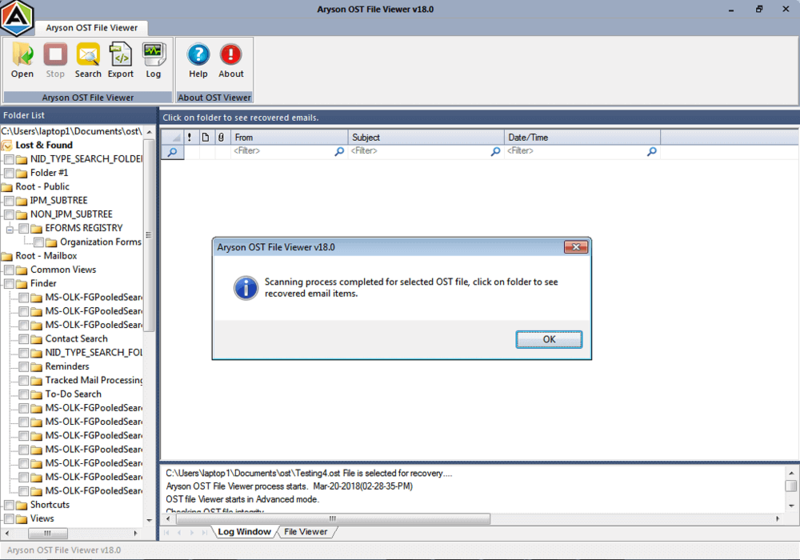 This free OST file viewer tool scans the files swiftly. It is provided with three different modes of scanning i.e. Standard, Advanced and Deep. Scanning in all these modes depend upon the severity of corruption. The OST reader is designed with such a strong algorithm that it is able to open even corrupted or damaged files and makes them accessible to the user after swift scanning. Without the use of Outlook, it is not easy to read OST files. Using MsOutlookHelp OST file opener, users can easily open OST files and view them. This tool scans the given files and generates a complete report of the files i.e. the email flow density per user, no. of files, sender’s information etc. This log file can be saved at a user defined location. This is a quite unique feature of the tool. It auto-detects all the information about the file i.e. file version, file type, compression type etc. You just need to upload the file and check the auto-detect box. This OST opener tool is strongly compatible with all the versions of MS Outlook including Outlook 2016, 2013, 2010, 2007 and 2003. It also supports widely all the versions of Windows OS including Windows 10 and other previous versions. It is a user friendly tool that both technical and non-technical users can easily handle it without any difficult. The interface is so intuitive that there is no prerequisite of any technical expertise to use this software. Step 1: Download and run MsoutlookHelp OST file opener Software. Step 2: Click on open button in menu bar and select the .ost file you wish to preview. 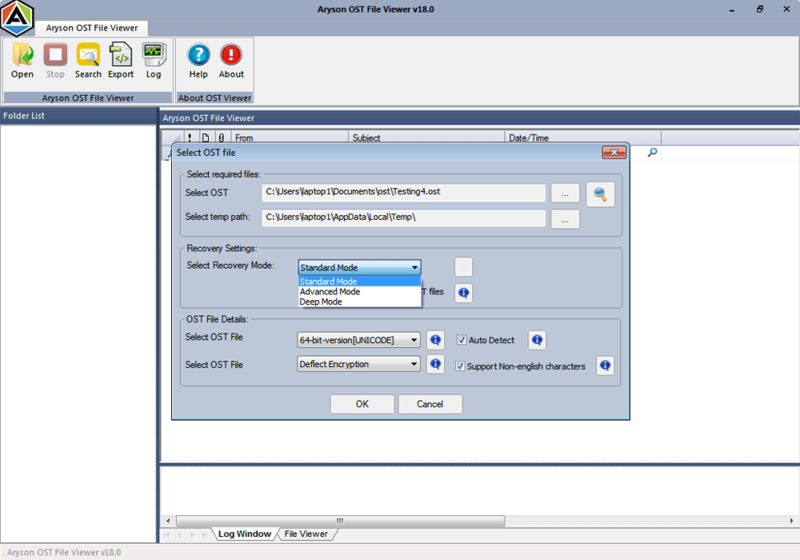 Step 3: Now, choose the recovery mode among Standard, Advanced and Deep. Step 4: Click on OK button after the completion of scanning process. Step 5: You can now view the contents of your OST data files along with their attachments. Step 6: Now, you can save the selected items in .html format and click OK. Step 7: For the entire process, log file is generated. Click OK to view that log file. Step 8: Exit the application after the use. "This is the first time I am reviewing any tool. This tool is so user-friendly and effective that it made me to thank its developers. Awesome work guys." "The best thing of the tool is that it is free of cost. Also, being a free tool, it previews the OST file data after a swift scanning." "I wanted to view the contents of my corrupt Outlook OST files. This tool made me able to open the contents of Outlook offline data files and view them. It is a great software." Can I open and view OST files without an Exchange server? Yes, using this OST file Reader tool you can simply read OST files even in the absence of Exchange server. Is the OST reader is a completely free software? Yes, it is a freeware. You just need to download it from our website and read as many files as you want. Can I open multiple OST files at a time using this tool? Yes, you can multiple files to the tool at a time. It will open the files one after the another. Can I save the data opened by OST viewer? No, you can’t save the data of OST files. For saving the files, you need to upgrade the tool to OST to PST Converter and can save the files to PST file format. Is this tool able to open encrypted or orphaned files in Outlook OST? Yes, it is provided with three modes of scanning due to which it swiftly scans and opens the files irrespective of their encryption or corruption. Operating System: Windows 10, 8.1, 8, 7, Vista, XP, 2000, 98, NT, 95 and Windows Server 2012, 2008 R2, 2008, 2003 R2, 2003.